The people of Rossport are “ready for the attack by the State” that they expect to come in 2006, according to Micheál Ó Seighin, one of the five Mayo men who spent 94 days in jail last year over the high-pressure gas pipeline Shell wants to lay through the Co Mayo village. Locals are objecting on health and safety grounds to a 9 km section of the Corrib Gas pipeline due to be laid through Rossport. The Garda Press Office declined to comment, except to say “appropriate measures will be used as the situation develops.” It has been revealed that the Garda bill for protecting the pipeline project to date is €933,000. In a reply to a recent Dáil question by Mayo TD Jerry Crowley, Justice Minister Michael McDowell said this included the surveillance of activists opposed to the pipeline. 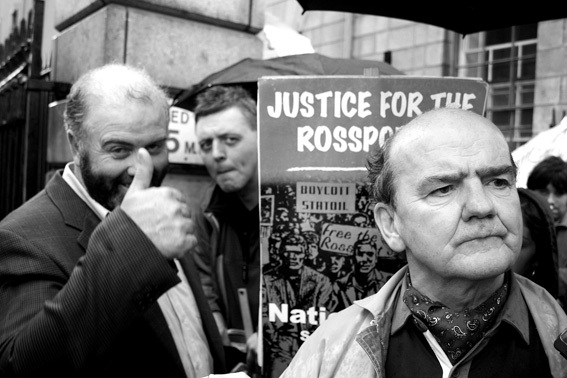 The Rossport Five are due back in court this Monday, 13 February, when the President of the High Court, Justice Finnegan, may impose sentence as punishment for disobeying the court in 2005. On 1 February the five men suspended their involvement in a mediation process with ICTU secretary general Peter Cassells, because of what they called “the continued and direct interference in the mediation process” Minister for Marine and Natural Resources, Noel Dempsey. The Minister denies this interference. A final version of a safety review of the onshore pipeline by Advantica consultants has been given to Minister Dempsey and is due to be published soon. Shell E&P Ireland is part of the Royal Dutch Shell corporation, which has reported €20 billion profit for 2005, the highest ever recorded for a UK-listed company. 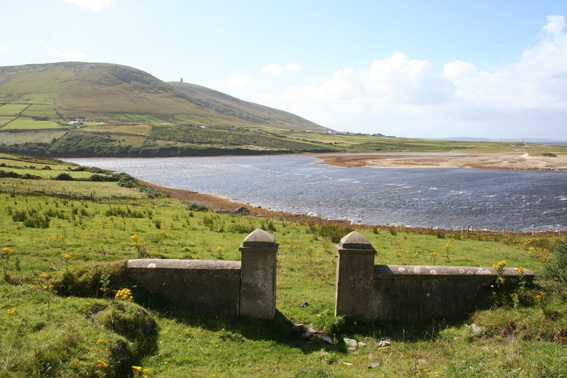 Several of its non-executive directors, including former Dutch prime minister Wim Kok, travelled to Ireland on 26 January for private meetings with Rossport locals and Mayo TDs. When it transpired that the delegation would only be meeting “non-opposing” landowners, more than 60 protestors forced their way into one of the meetings, at Greannaí near Rossport, and confronted the Shell board members. According to the protestors, the directors were “shocked into silence” by their arguments and determination. The Shell to Sea campaign wants Shell to build the refinery at sea, which would remove the need for the high-pressure pipeline through Rossport. This entry was posted in Corrib Gas project, Rossport Five and tagged Community consent, Corrib gas project, Direct action, Gas pipeline safety, Mayo gas, Micheal O Seighin, Rossport Five, Shell, Shell to sea, William Hederman, Willie Corduff. Bookmark the permalink.